In the Indian Mutual Fund Industry, ICICI Pru AMC is already the largest fund house in terms of its asset size as on December 31, 2018. The groups of investment service providers and mutual fund distributors are also not leaving any stone unturned in providing services to the maximum investors. 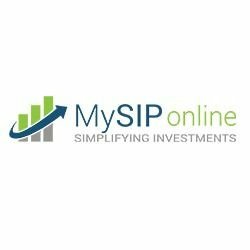 MySIPonline is one of the fastest growing online mutual fund investment service providers that has recorded its establishment in the year 2015 and has managed to attain immense success. Today, MySIPonline is successfully merged-up with more than forty asset managing companies in India for providing investment services to the investors. When you invest in the scheme of ICICI Mutual Fund online through MySIPonline, you can avail higher benefits than the one who has invested directly. 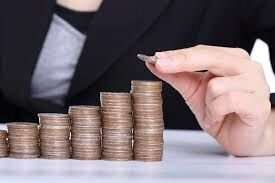 On investing in the schemes of ICICI Pru MF, no doubt you will get lots of benefits such as too many options available, giant community, brand name, etc., but don’t you think that a little more always adds to the superiority. Thus, when you invest in ICICI MFs through MySIPonline, you get services of this portal too which make your entire investment journey hassle-free. You Don’t Get Packed into One Box: When you choose investing through distributors like MySIPonline, you do not get packed up into one box only, rather you can paint your investment book with multiple colors of different AMCs. At MySIPonline, you get mutual funds of more than 40 top AMCs in India, and you can choose to invest in any of them, and from one place. Hassle-Free Process: You can access your investment account easily on the go at any point in time when you are using services of MySIPonline. Your investment in multiple schemes can be accessed in one account only and stays sorted. Safety Feature: No matter how good and lucrative services one provides, but if there is no safety for your investment, you will definitely not choose it as your investment partner. At MySIPonline, you get an excellent level of security for each major steps of your investment, be it investment in any new scheme, payment of regular SIPs, etc. There are a lot more features that you can grab to work for you by shaking hands with MySIPonline as your online investment partner in mutual funds. Moreover, when you are investing in the schemes of ICICI Mutual Fund, you are hiring excellently trained and experienced fund managers to handle the movements of the schemes. So, don’t you want to be with the largest and the fastest? To know more about the various top schemes of ICICI Pru Mutual Fund, and the features of MySIPonline, visit mysiponline and change the way of your investing in mutual funds.